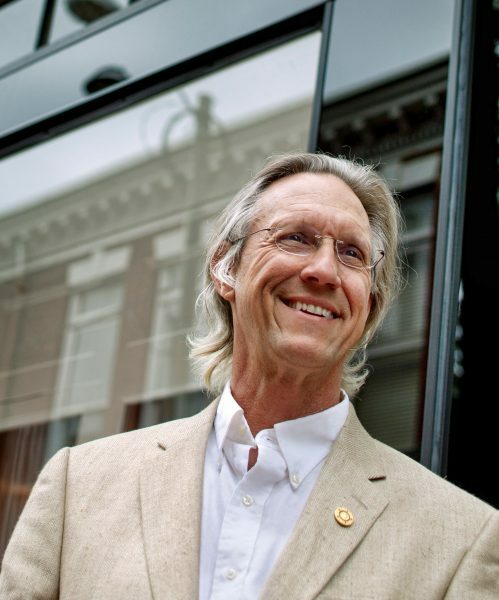 After graduating from the College of Architecture at the University of Kentucky in 1976, Keith O. Woodard moved to Charlottesville making a new home here for his family. His first endeavors were designing and building custom homes, but when interest rates rose to 21% in 1981 it was evident that Woodard Properties needed a new direction and focus. Keith recognized the need for quality student housing near UVA and designed and built Woodard Properties’ first buildings, Cherry Suites, which are still owned and managed by Woodard Properties. Recognizing the importance of design and location, additional properties were developed on Wertland Street, Arlington Boulevard, Montebello Circle, Jefferson Park Avenue, King Street, John Street, and 13th and 14th Streets. Woodard Properties now provides housing for almost 750 students attending UVA. In the mid-1980′s, the historic renovation of The Exchange Center on the downtown mall was completed as Woodard Properties’ first substantial entry into commercial property development. Additional endeavors included the design and reconstruction of a bed and breakfast inn, the Independence Resource Center, and several custom homes. The acquisition and revitalization of Market Square in 2005 and McIntire Plaza in 2007 solidified the commercial interests of Woodard Properties. Together, with Class-A office space at 400 Preston, Woodard Properties provides homes for over 150 retail, office, service, and industrial businesses and non-profit entities in Charlottesville. In an effort to help with our community’s affordable housing needs, in 2007 Woodard Properties purchased Dogwood Properties, a long-time endeavor of Eugene Williams. These properties are now being revitalized so that Mr. Williams’s vision can continue to serve Charlottesville residents and honor his legacy. Lastly, Woodard Properties proudly participates in the Great Game of Business, which was established to help companies implement the open-book management practices outlined in the book The Great Game of Business.